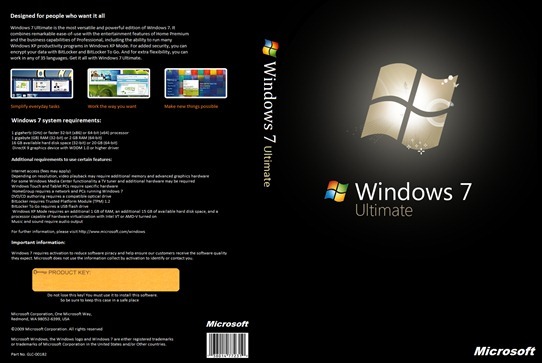 Inspired by the Windows 7 Ultimate Box Art DVD Cover which I posted about a week ago, Michel of MyDigitalLife forums has created a complete set of DVD Covers for Windows 7 Ultimate, Windows 7 Home Premium and Windows 7 Professional editions. All Images are in 150 dpi (1613×1080 resolution) which resembles the retail packages of Windows 7. I really hope I can print out the ” Professional” one. The Pro one comes out great using easy cd and dvd cover creator.